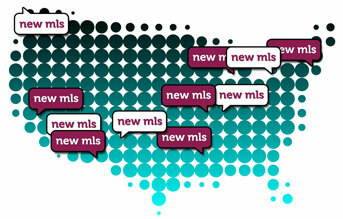 This past month we continued our expansion into new MLS areas, including our first MLS in Canada! In the West we’ve added IDX services for members of the Greater Albuquerque Association of REALTORS in New Mexico, the Central Arizona Board of Realtors and Green Valley Sahuarita Association of Realtors in Arizona. We also now offer IDX for members of the Merced, Mariposa, Madera, Amador, and Yosemite Gateway Associations through our new service for the CalRedd Discover feed. Most of the data feeds offered in Canada are not true IDX feeds; they usually just contain listings for an individual office. The Vancouver Island Real Estate Board (VIREB) is an exception to this rule. VIREB offer a true IDX feed for members, so we are pleased to now offer our dsIDXpress and dsSearchAgent IDX services to their members. We also expanded into the mid-west with new services for Realtors in the large South Central Wisconsin MLS in Madison, as well as SIR MLS in Illinois and the Southwest Michigan MLS (SWMRIC) covering Grand Rapids and Kalamazoo. See full list below of all the REALTOR Associations, boards, and MLS areas where we now offer IDX services. If you would like to add IDX listings to your site or blog for any of these areas, give us a call or an email today! Congratulations on adding more multiple listing services that work with your idx listing programs. Do they all work with the idxpress plugin? @Jay: for the most part, yes. There’s only been a few instances where that is not the case to my knowledge. @Darryl: My best suggestion is to check in with Sales on this. Our Sales Department has a better idea as to what coverage areas we’re moving into. And if it’s not in the list, they can tell you why and/or explain what’s needed to move into a new area. Please please do Northern BC! Is there a possibility that in the near future this can be used for BC residential MLS system in canada? That would be amazing!